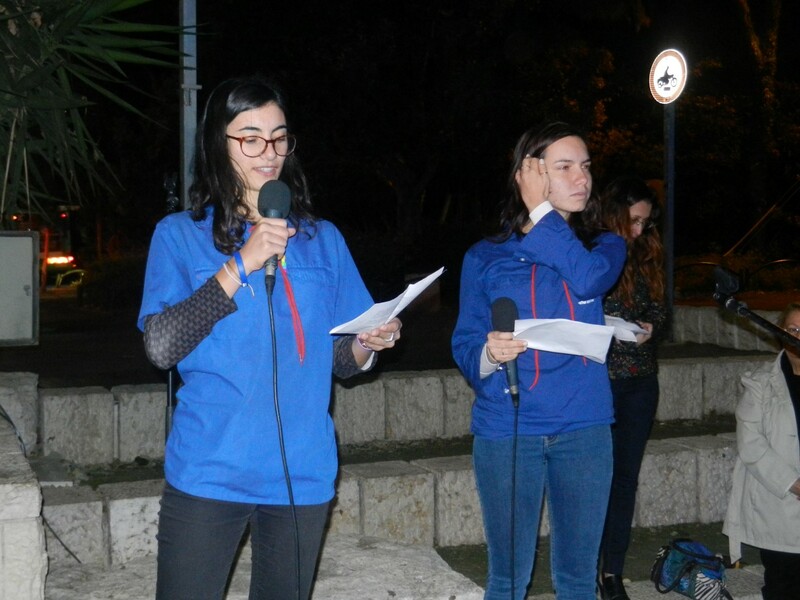 Tonight a rally to signify the International Day for the Elimination of Violence against Women was held in Haifa, Yarden and Inbar, Communariot living in Haifa, spoke on the rally stage in front of the hundreds of participants and explained what education towards Feminism means today. 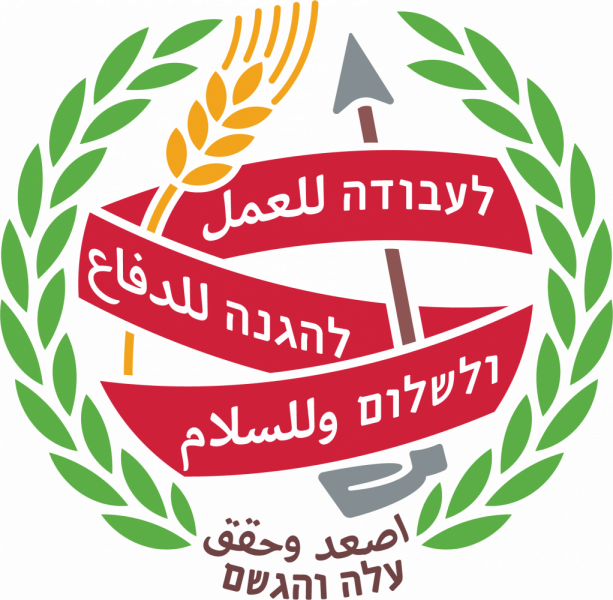 My name is Yarden Amoyal and I'm a Communarit in Ken Hadar, and I am Inbar Mokedi, Communarit in Ken Kiryat Bialik, and we're in Chavat Ha'Hachshara, NOAL's Shnat Sherut. Not long ago we were high school students, young girls that experienced for themsleves peer pressure, societal expectations that have to do with our gender role, with us being women. This year we chose to be Communariot because it's important to us that teens, both men and women, have a safer but also more rebellious experience in life. To be Madricha figures for them, that direct them in their different stages of life. To be free, independent women ourselves, to learn about ourselves and the abilities we didn't know we have. The movement is the place where I feel the most equal to members of my kvutzah (group), men and women. Yarden Amoyal and Inbar Mokedi "We shouldn't be ashamed to be feminists." We gathered today to signify the International Day for the Elimination of Violence against Women. This day symbolizes for us the fight for an open and equal society. This day, symbolizes our ability as a society to point out what is wrong around us, and say we are not willing to live in such a society without acting. In our movement's 10th Veida that occured 2 years ago, we decided that the movement will define itself as a feminist movement. "As a movement which carries the banner of the equality of human value, socialism and klaliyut, the movement chooses to define itself as a feminist movement and to educate towards feminism. 1. The movement views with gravity the phenomenon of sexism, violence and discrimination against women and will work to eradicate these phenomena. * To continue acting to fulfill full equality between sexes and genders in all part of the movement and to empower women.  * To continue integrating Arab and Druze girls in movement activity and grant them the full support for achieving equal status and integrating into the leadership of the movement and Israeli society. A few months ago I told my (girl) friends that I was a feminist. I received suprised and even condescending responses, that made me realize how deep depression against women is in society toady. Of all people, my friends who should identify with the feelings just by being women, and support me in this struggle, they of all people think being a feminist is something wrong to be mocked. We shouldn't be ashamed to be feminist. It's not a stance of weakness or distress. It's a deep stance of equality between every man and woman. 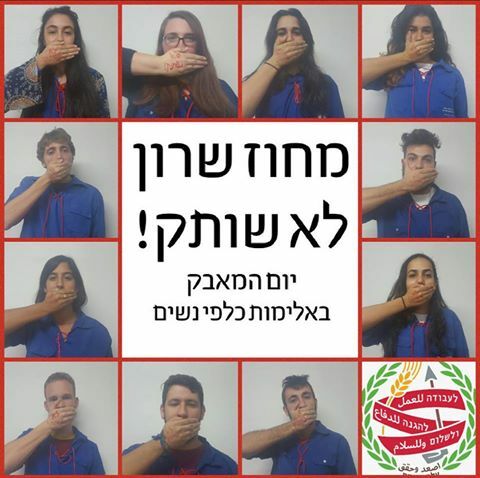 "Machoz Sharon will not be silent!". – The Communarim in Machoz Sharon had a day about International Day for the Elimination of Violence against Women. and ran peulot in all of the kenim in the Machoz about the subject. As madrichot in large and diverse parts of Israeli Society – in the neighborhoods in Haifa, in Kibbutzim, In Moshavot, in the Krayot, we meed a wide range of teenagers. We see them use physical, verbal and sexual violence. We hear them use demeaning and objectifying language. We see them touch each other with no consent, and saying very hurtful things. We see the girls disappearing next to the boys, their voices drowning between the other voices. And most times they do it without realizing. It's something so ingrained that even girls make peace with it and uphold it. Being a woman in Israeli society today means being subject to violence, constant fear of walking down the street alone, standing harsh criticism at all times, being perceived as fragile and weak, feeling the need to care for how you look all of the time. Dealing with the feeling that no matter what we do, we are still seen as less, of less value. But with all of the hardships, and we get hurt ourselves, it's our place to educate to right and wrong. To give an opportunity to women voices, to educate our chanichot to know that being girls doesn't make them any less, to not ever settle on their principles, and to not give up parts of who they are and what they believe. To love themselves no matter how they look or how feminine they are in the eyes of society, and no matter if they answer the expectations of boys around them. To educate them not to ignore comments being thrown, to say when they're uncomfortable, to dream big, to create an alliance of love between girls and never put each other down. To educate them to shape reality and pave the way. To educate our chanichim to look at reality and themselves with critique, to believe that there is another way. There must be another way. To grow up to be sensitive men, more gentle, aware of their actions and words, and the responsibility they have in trying to create a safe environment for the girls in their kvutzah and in society. We will stand strong against any type of violence, act and educate to condemn it, nothing will stop us, and we demand and expect of all of you to give your hands for change, not to be silent and not to stand on the sideles. We invite you to take responsibility for society and join the daily struggle we all face – for the equality in worth of every woman and of every person. We'll end with the movement's blessing – LaAvodah, LaHagana VeLaShalom – Aleh VeHagshem.